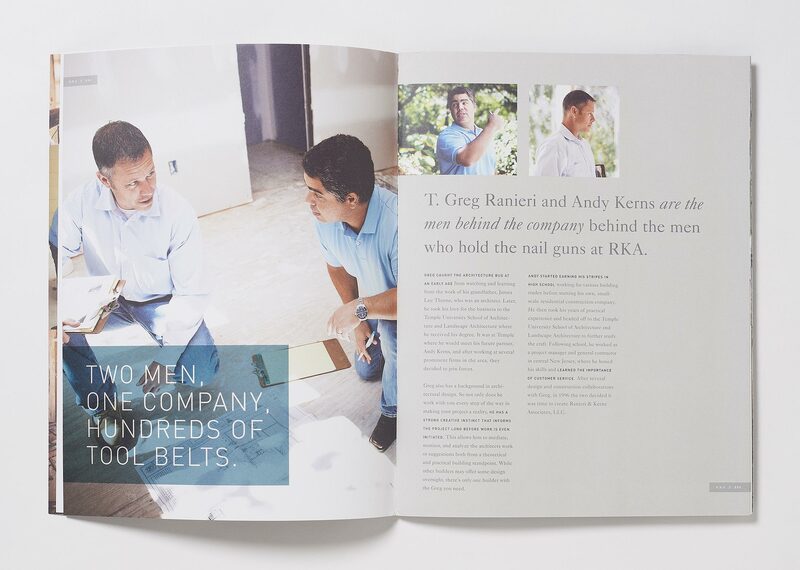 Ranieri & Kerns Assoc. 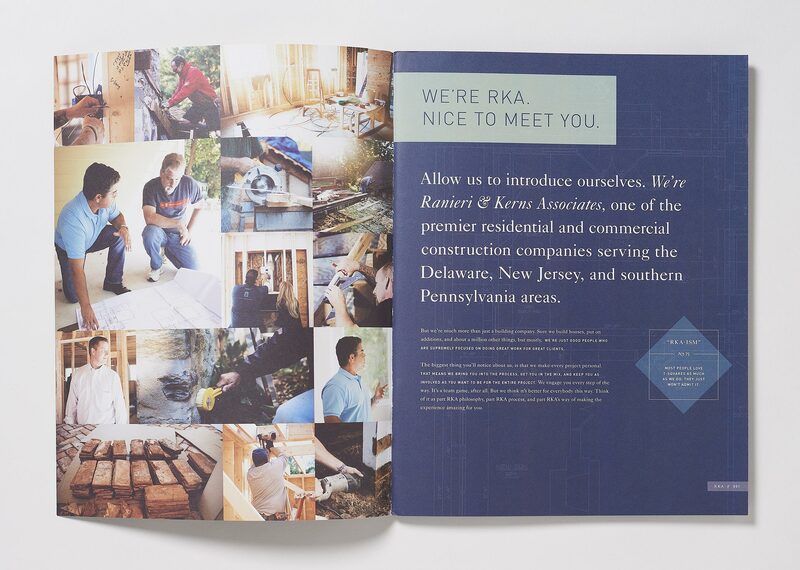 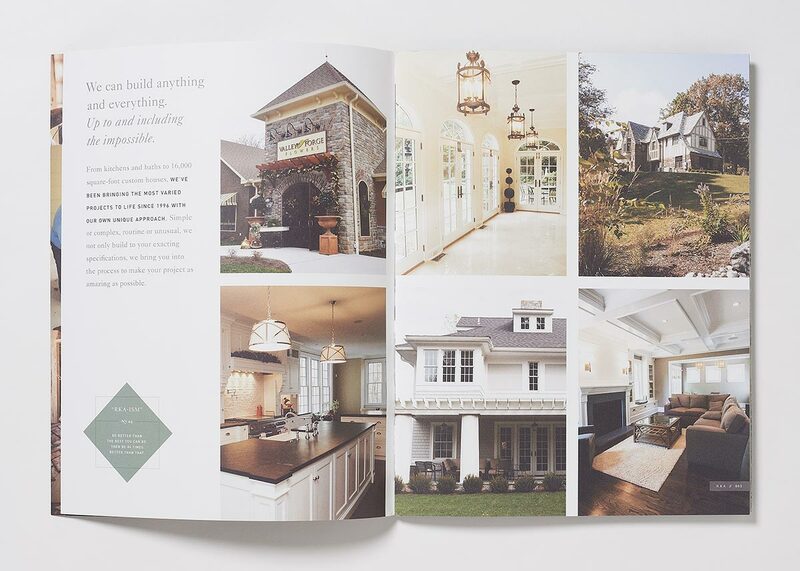 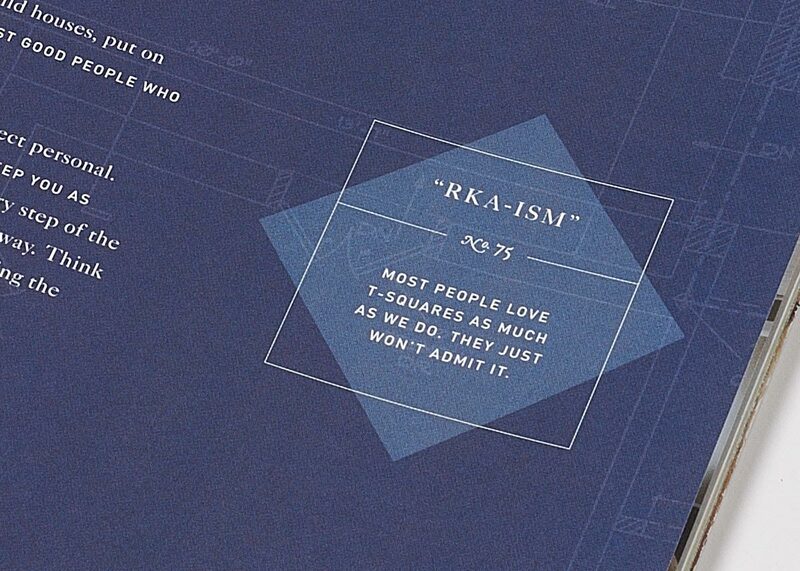 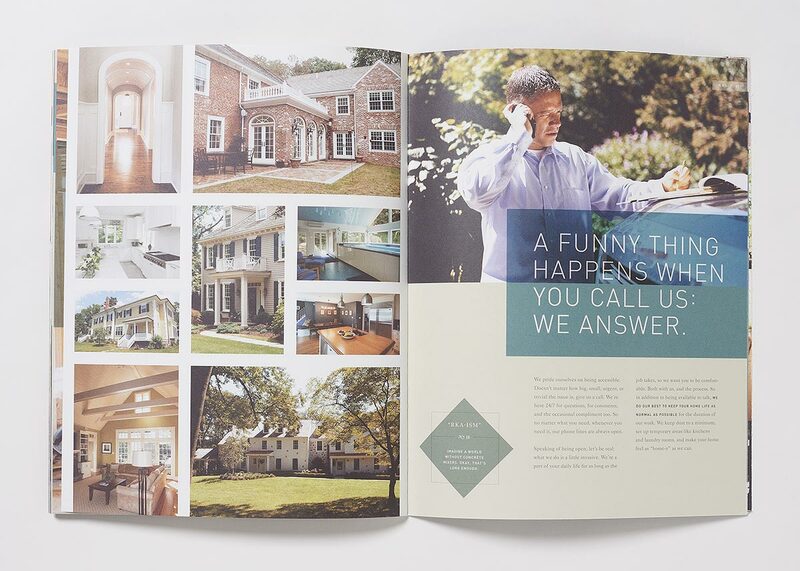 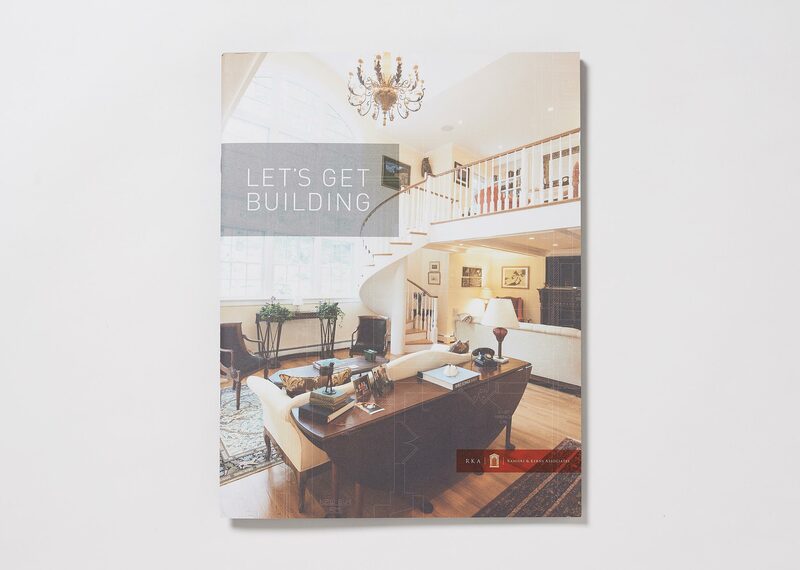 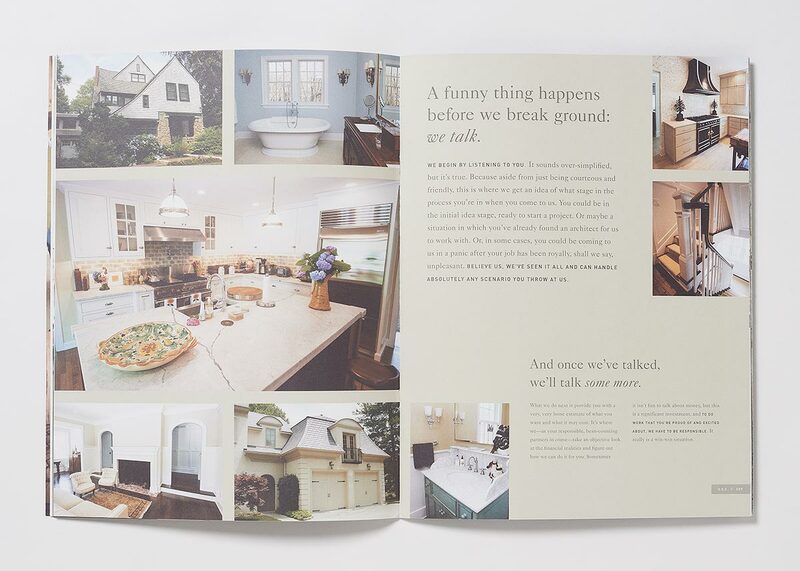 – Projekt, Inc.
RKA is a high-end builder just outside Philadelphia — and they needed a catalog that reflected their real, honest, “we don’t take ourselves too seriously” personality. 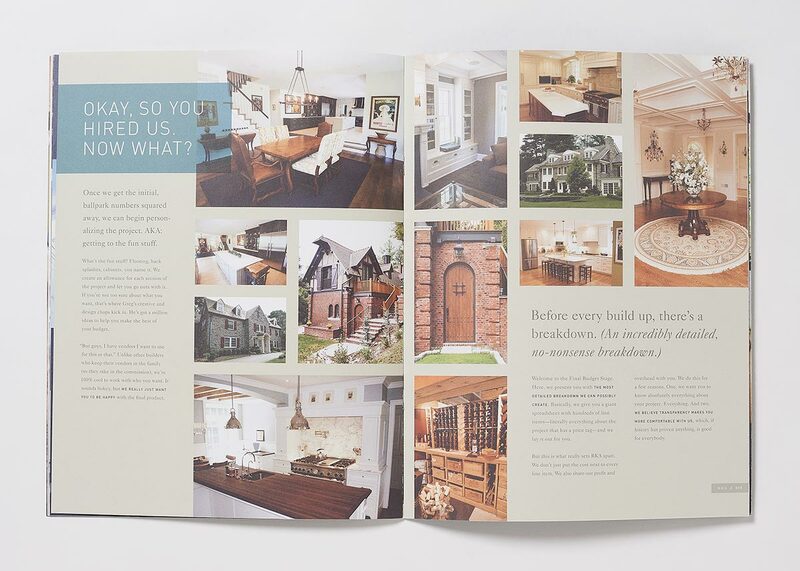 Since it would become the most important leave-behind when meeting with clients, it had to accomplish three things quickly, personably, and beautifully. 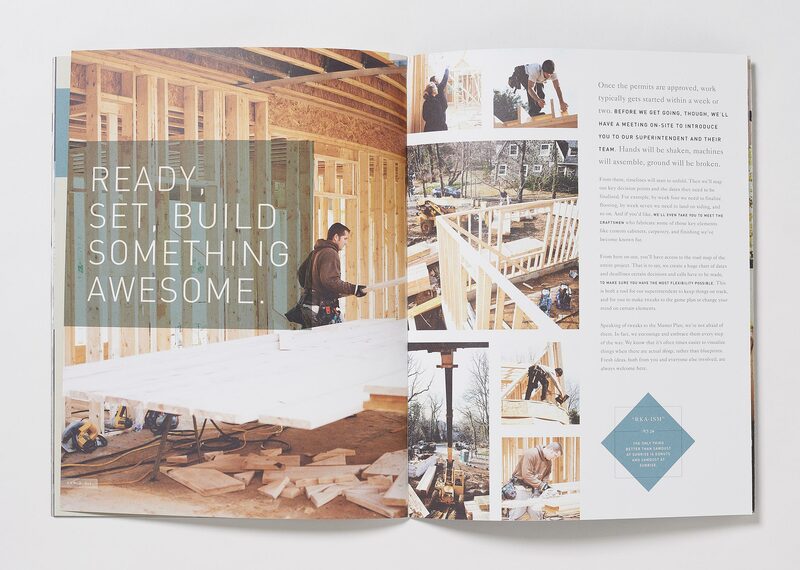 First, detail the typical soup-to-nuts process of every project. 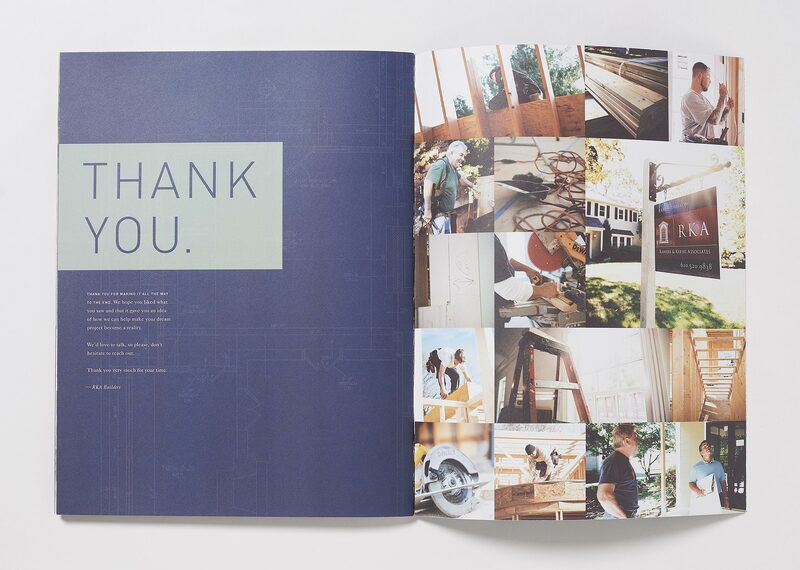 Second, showcase beautiful images of finished jobs and the RKA crews who actually built them. 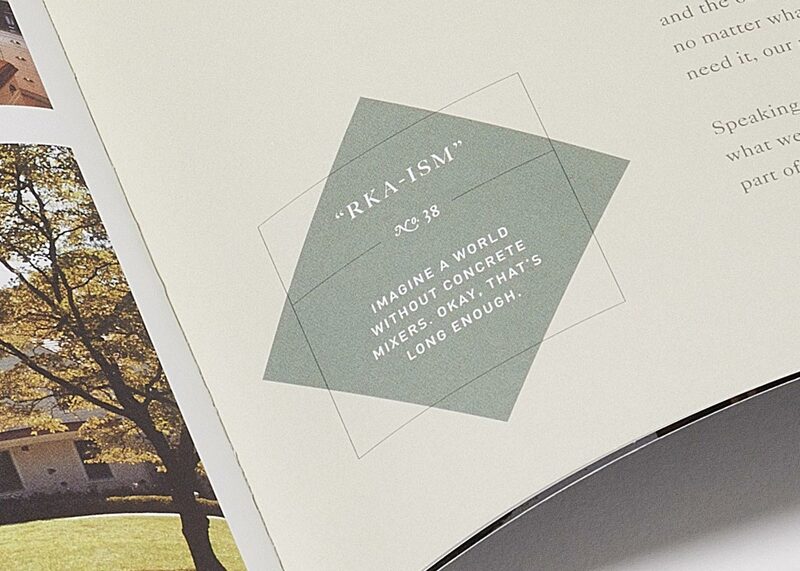 Third, tell the whole story in the real, honest, straightforward voice they’re known for.